A rebuild / repair kit is a new magazine that has been opened, disassembled, and packaged for shipping. 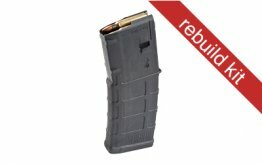 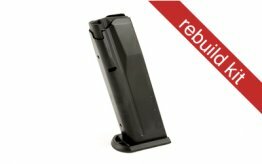 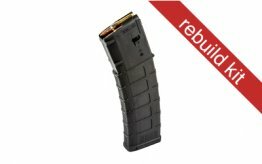 Rebuild Kits may be used to repair existing magazines, used to create limited-capacity magazines, or assembled and used in accordance with local laws and restrictions. 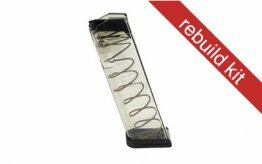 If you are purchasing this item or its components in an attempt to bypass Local, City, County or State laws -- you are doing so at your own risk. Know your rights, laws and ordinances or do not purchase. Employees, contractors, affiliates, and owners of Badger Mountain Supply are not responsible nor liable for any personal, professional, legal or otherwise general harm or damage as the result of purchasing this item. 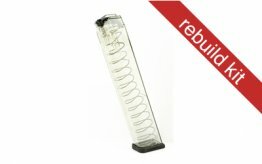 Rebuild kits are not returnable.